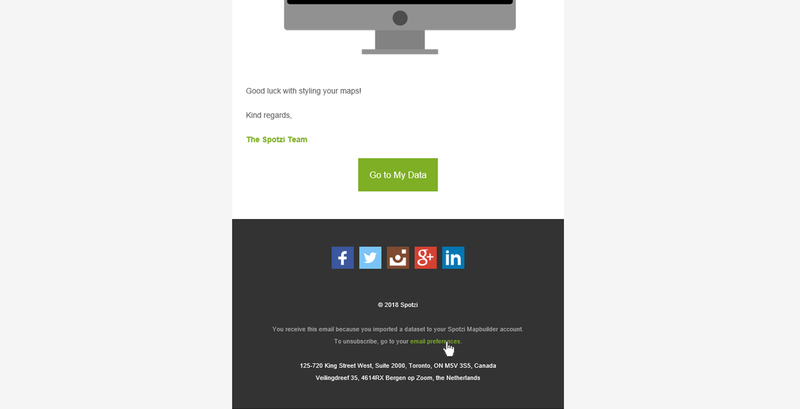 Don’t you want to receive any more e-mails from Spotzi? 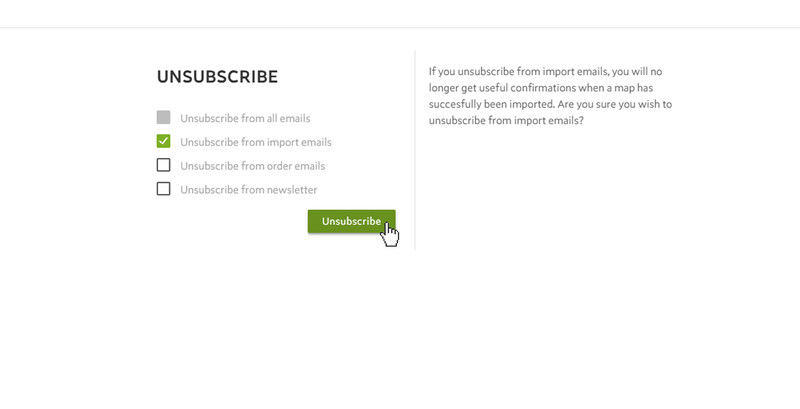 Follow the instructions below to unsubscribe from the monthly newsletter, import e-mails or order e-mails. There are two ways to unsubscribe from these e-mails. 1. 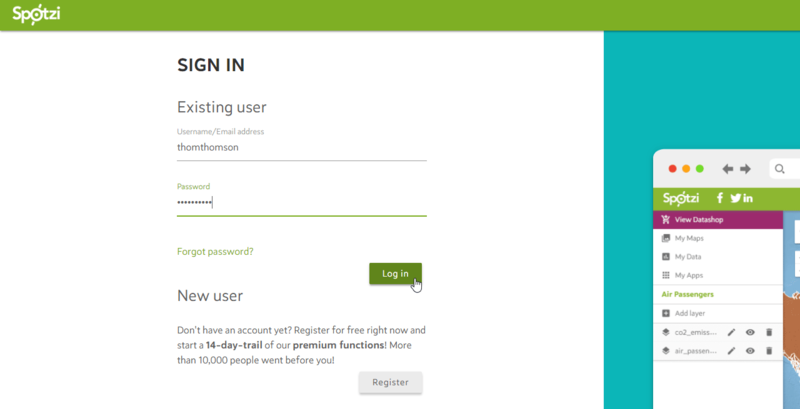 Open one of the e-mails you received from Spotzi and click the e-mail preferences link in the footer of the e-mail. 2. 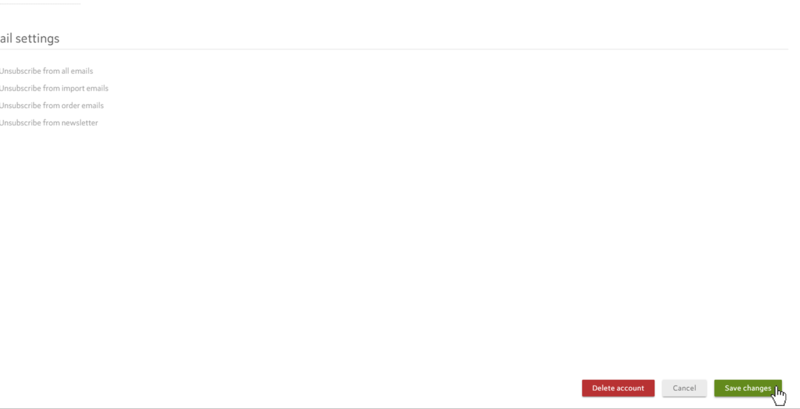 Choose which e-mails you want to unsubscribe from. 3. 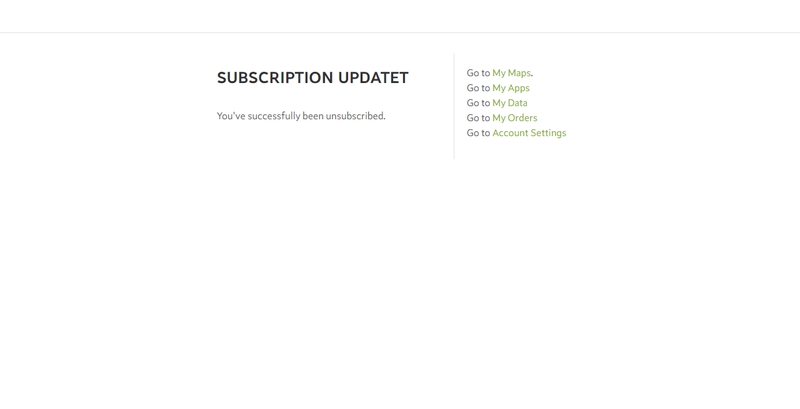 Confirm by clicking the UNSUBSCRIBE button. 4. You have successfully edited your e-mail preferences. 1. 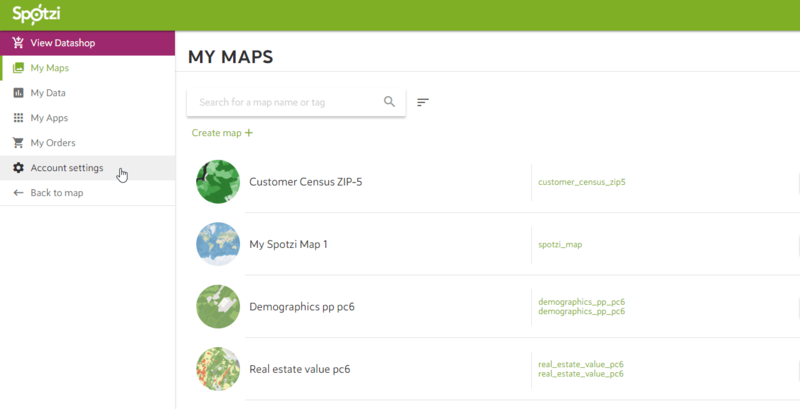 Log into your Spotzi Mapbuilder account. 3. 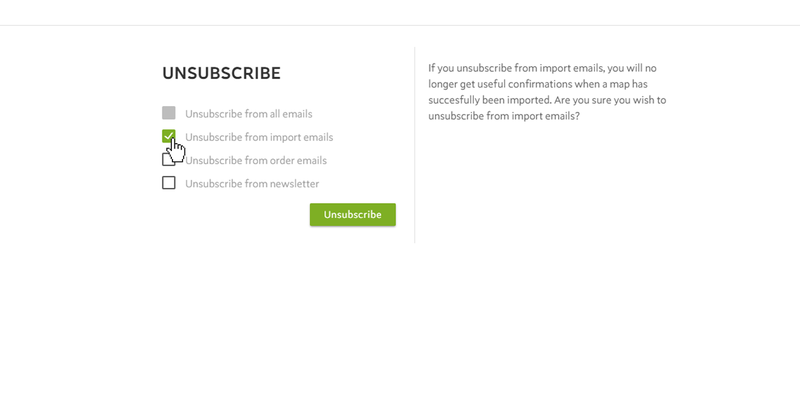 Choose which e-mails you want to unsubscribe from. 4. 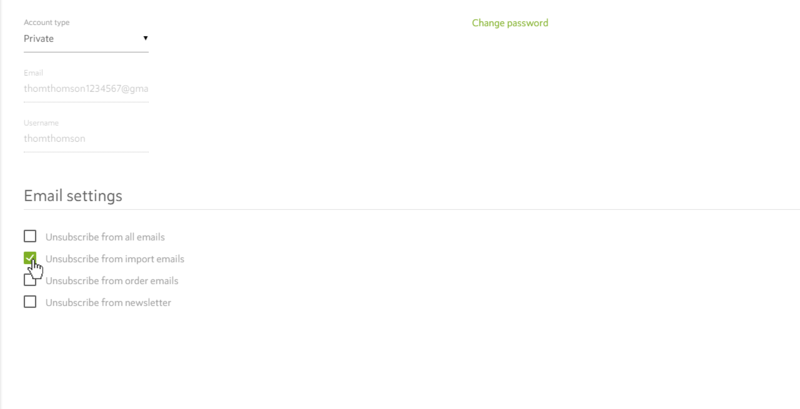 Confirm by clicking the SAVE CHANGES button.